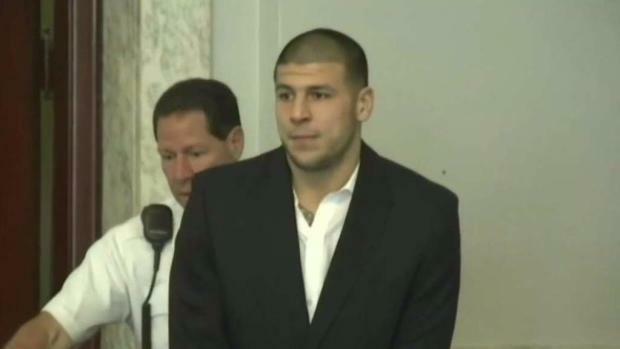 The late New England Patriots player Aaron Hernandez expected to be released from jail and resume his football career shortly after his arrest on a murder charge, according to newly released jailhouse telephone calls. The Boston Globe reported that the Bristol County sheriff this week released more than 900 phone conversations Hernandez had with family and friends. In the calls, he angrily responds to rumors of being gay and denies using angel dust. He also shows disdain for Patriots coach Bill Belichick for not supporting him after he was charged. In several of the calls, he references a possible return to football once he is released. “I’m still going to be young when I get out of jail, so you know I’m going to try to play ball again,’’ he told his friend Mike Pouncey, an NFL player and former University of Florida teammate. Hernandez's mother, Terri Hernandez, told the newspaper via email in a rare public comment that her son changed dramatically and directed a lot of his anger toward her. After the prison suicide of Aaron Hernandez, his conviction in the murder of Odin Lloyd was vacated. Lloyd's family is pushing for a law that would prevent similar appeals in the future. He was posthumously diagnosed with chronic traumatic encephalopathy, a degenerative brain disease.